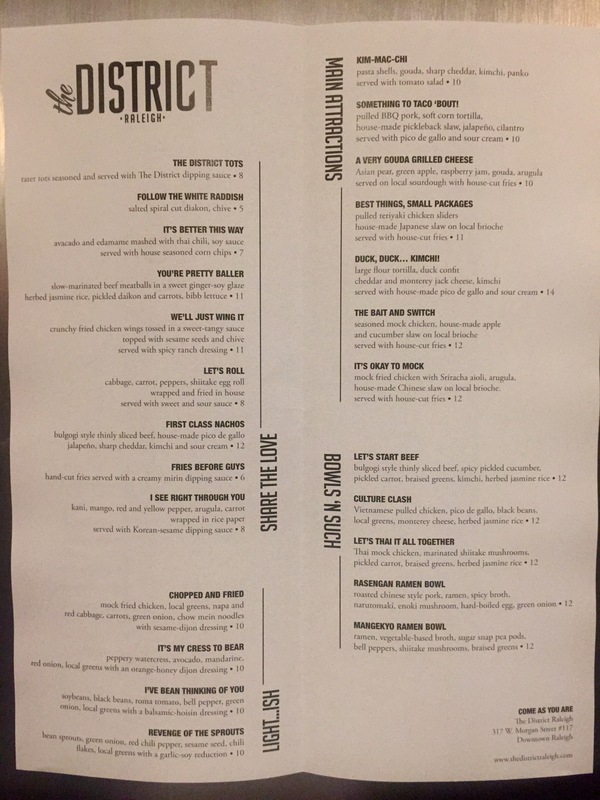 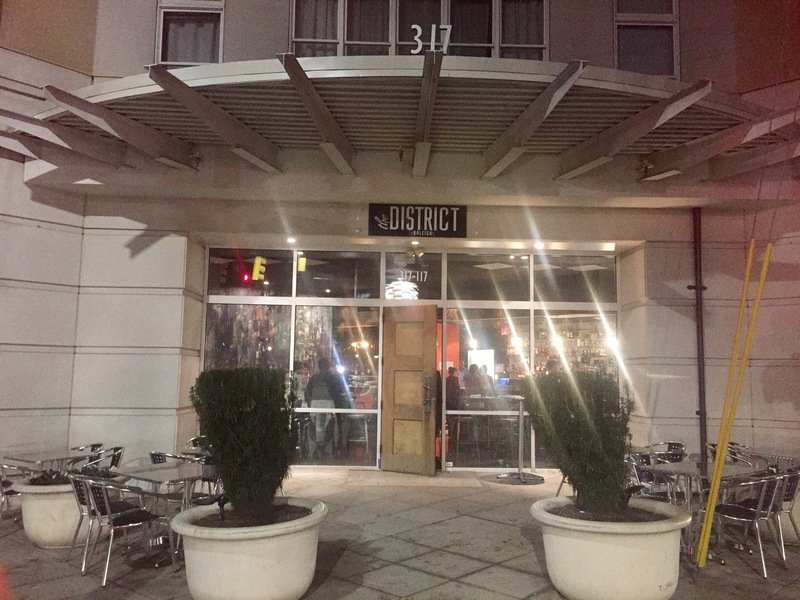 On the corner of Dawson Street and Morgan Street, where The Borough (and most recently, Hadley’s) used to reside, A new concept called The District has opened up shop. 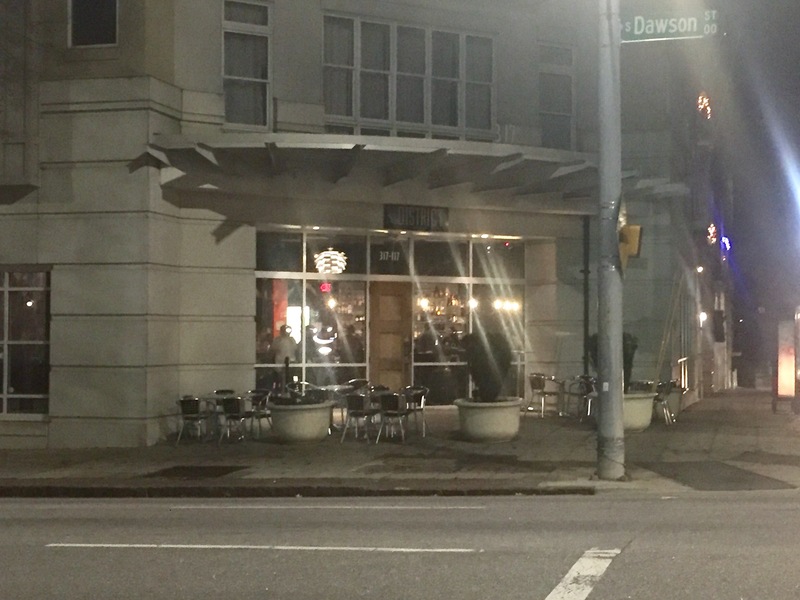 Read more about the new operators’ ambitious plans for the space in this April 2016 Raleigh Agenda piece. 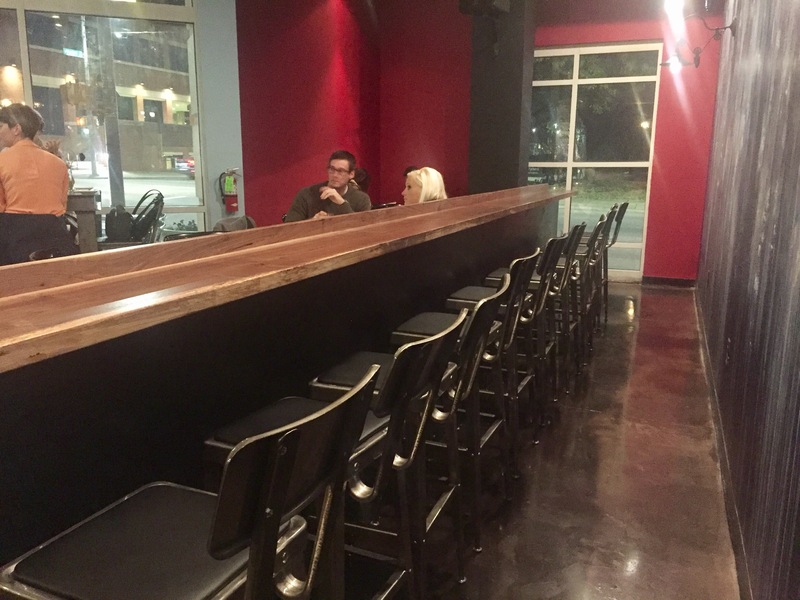 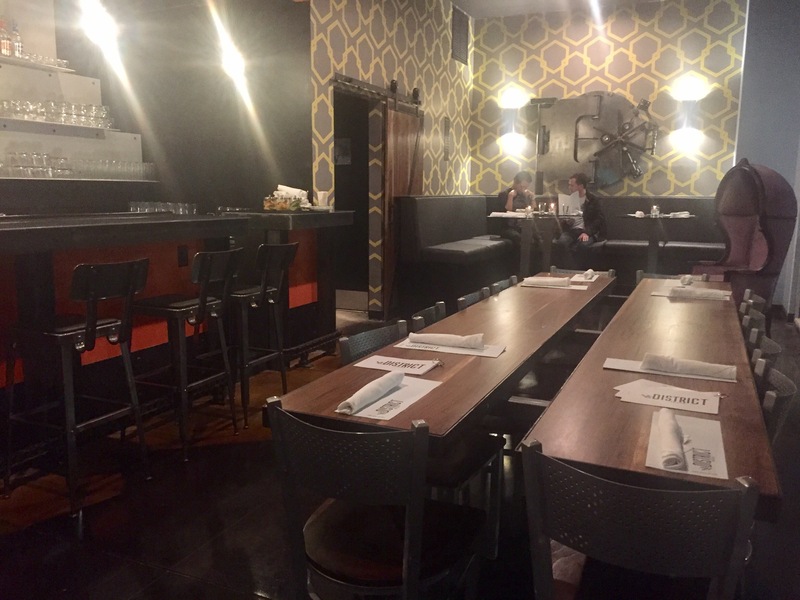 This latest rendition of bar and restaurant features an updated look inside, as well as ample bar/rail-style seating as opposed to the predecessor’s bench-style seating. 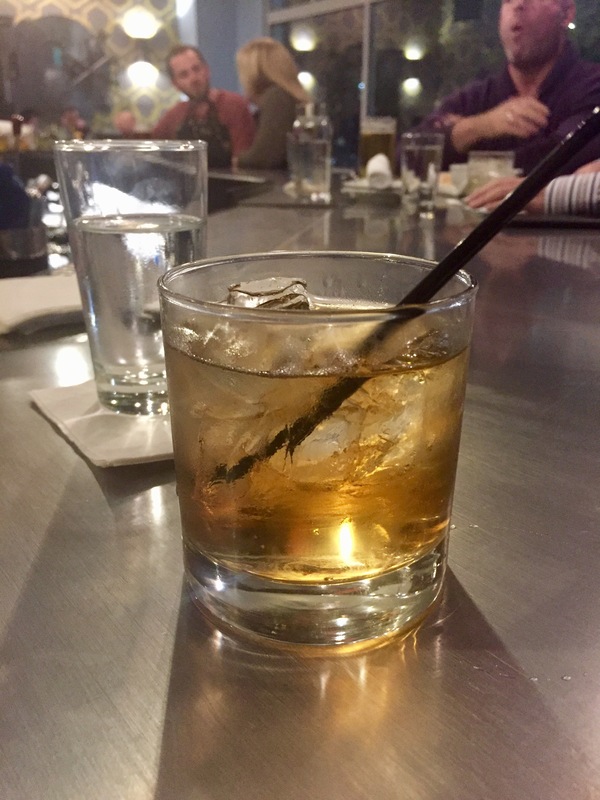 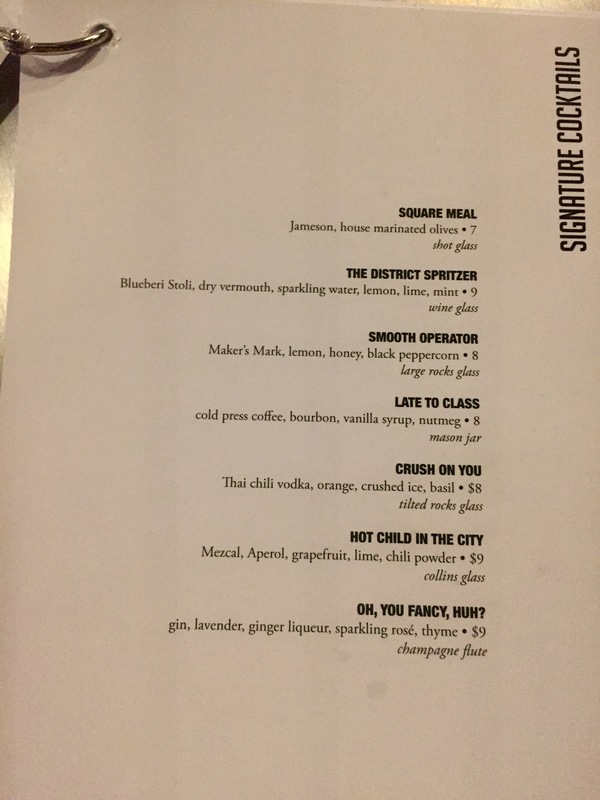 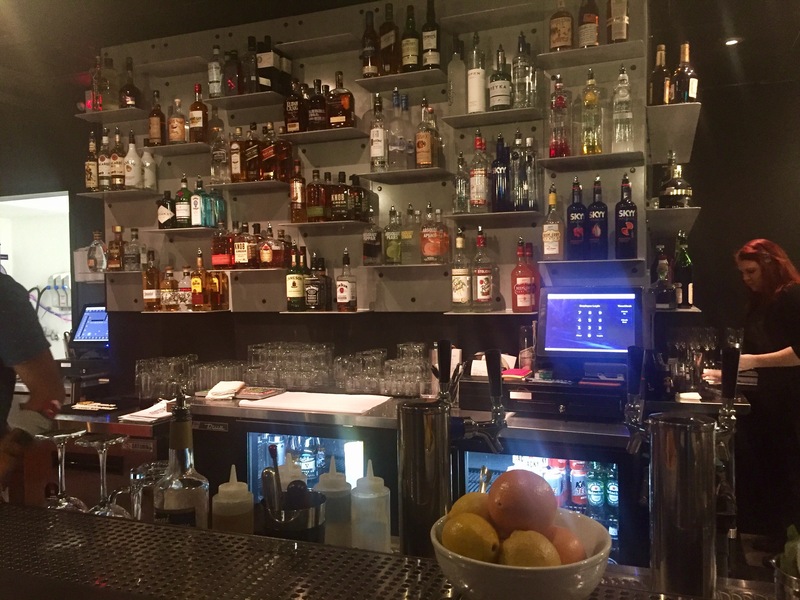 Behind the bar is an impressive selection of spirits – including lots of vodka choices and expanded all the way into a variety of scotches – and the food menu is just as diverse, too. 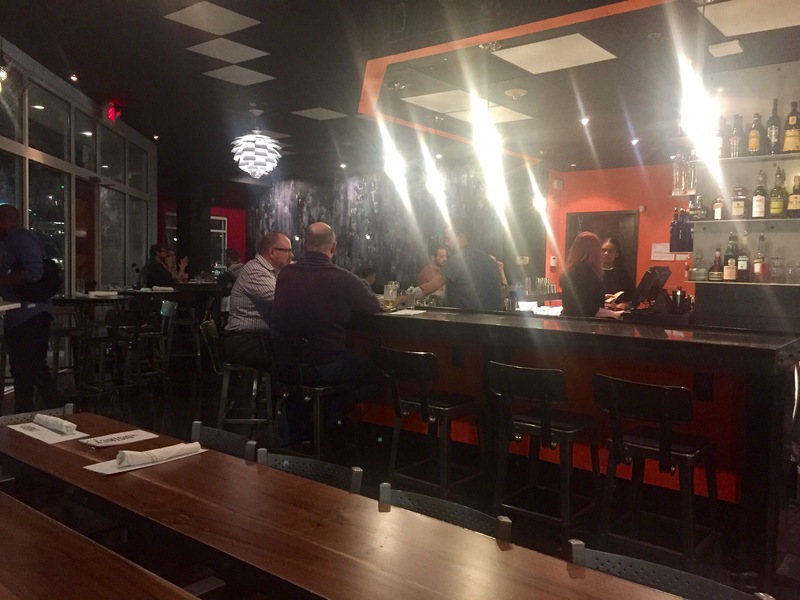 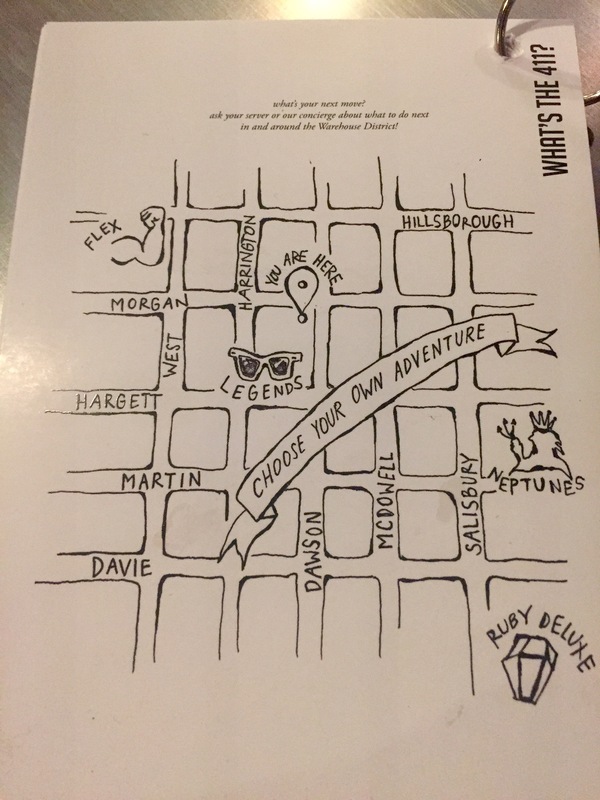 My fellow guest and I didn’t eat on our first visit tonight, but there were several vegetarian options and two ramen dishes… which I’ve seen no shortage of folks looking for in Downtown Raleigh over the past few years. 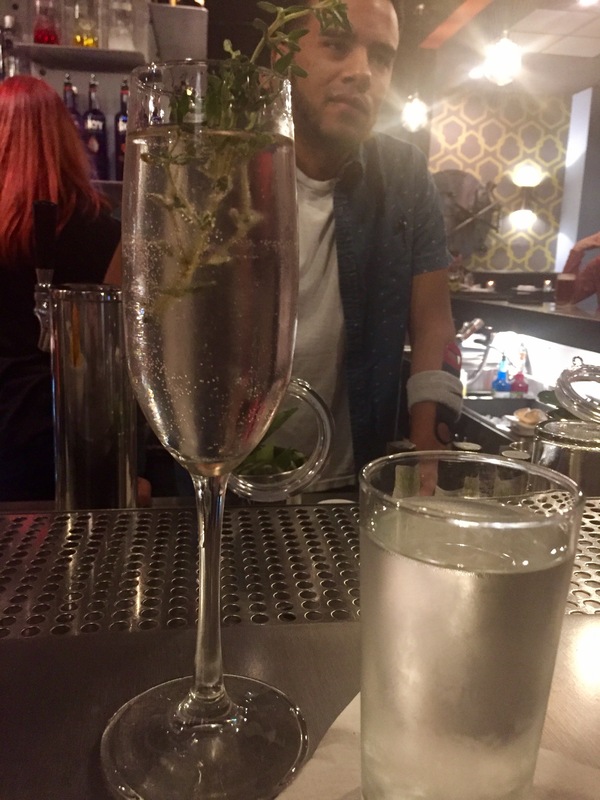 This time, we had two cocktails for a pre-tip total of $20. 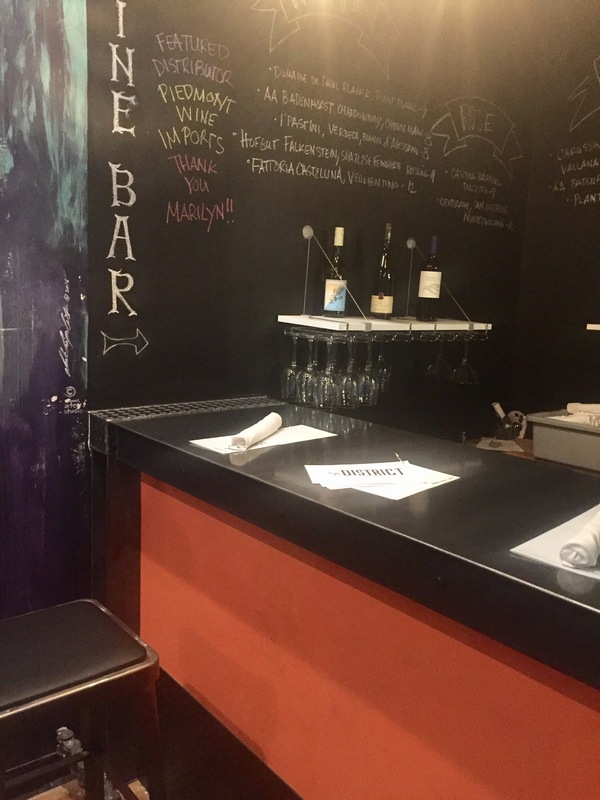 We sat at the bar where service was friendly and attentive, but not overwhelming. 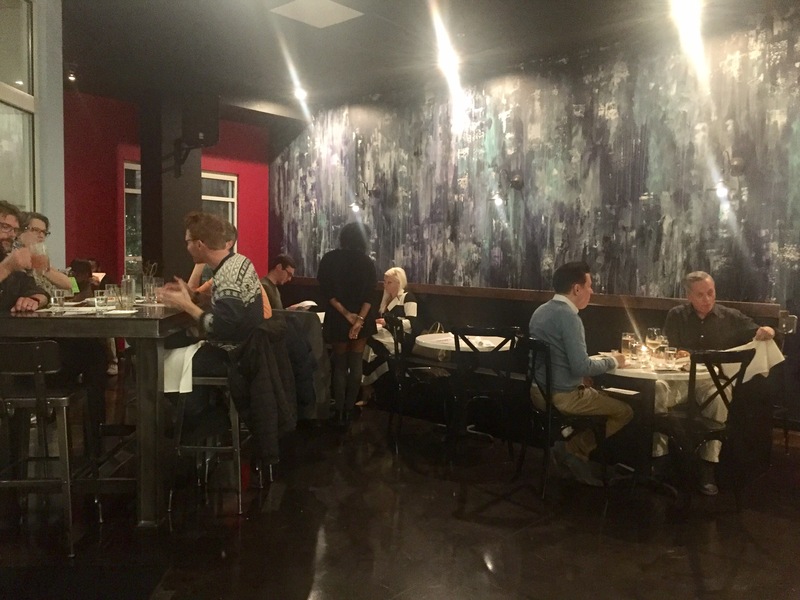 There was a good crowd at 7:30 p.m. (on a Tuesday) – about 30 guests filled about half of the available seating. 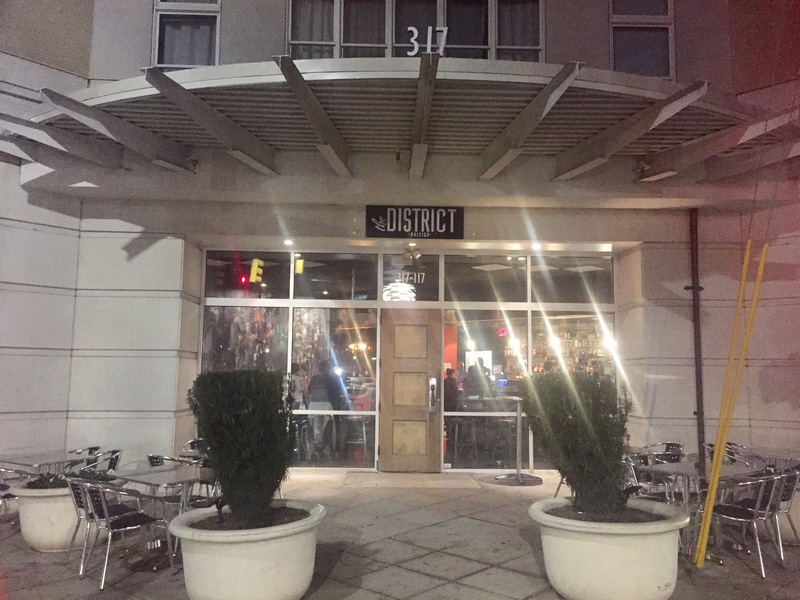 The District is open from 4 p.m. until 2 a.m. daily.